Those of you that remember how confident Microsoft was back in the day in the success of the Windows Phone platform probably understand why the Redmond-based tech giant remains hesitant about attempting any sort of a mobile comeback. Of course, that doesn’t mean the company isn’t considering a number of ways to get back in the game and continue expanding the focus areas and use cases of the popular Surface product lineup. While we may never see a conventional “Surface Phone” commercially released, the (not so) secret “Andromeda” project could spawn a foldable device of some type... at some point in the not-so-distant future. Separately, Windows Central reports work on a “Centaurus” design may have started “about” a year ago, with the hope of an official announcement coming “in the fall of 2019.” This “dual-screen 2-in-1” gadget sounds a lot like that newly rumored direction of the Andromeda project, but according to this publication’s inside sources, Microsoft has different plans for the two equally ambitious programs. Specifically, Andromeda could still be envisioned as a “pocketable dual-screen phone”, but if this new info is accurate, Centaurus will be given priority in development and production, aiming to pave the way for Microsoft’s eventual mobile market re-entry. That’s largely because the company is reportedly not ready to embrace Android just yet, planning to load Windows Core OS on Centaurus, and somehow convince developers to build Universal Windows Platform apps for Andromeda. Windows Core OS is Microsoft’s rumored “new modern version of Windows 10”, so this “Centaurus” product is likely to not be that different from the latest Surface Pro generation. It’s probably going to be smaller and easily foldable, with two extremely versatile displays, one of which will be able to seamlessly switch from a note-taking to a (somewhat) traditional keyboard and touchpad computing experience. Windows Central describes Microsoft Centaurus as a “tablet, laptop, digital book, a bigger tablet”, and everything in between, which we have to admit sounds exciting... and just a tad overambitious. 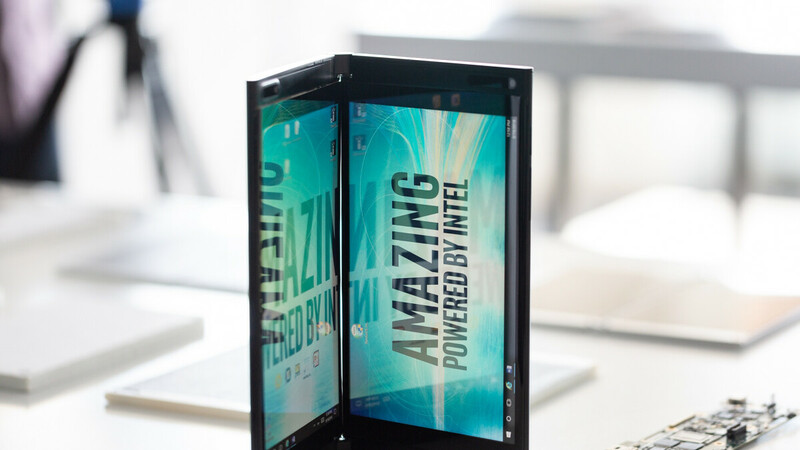 When an ARM tablet can run full Windows 10 , why can't a foldable 7 inch phone do the same ? Scaling Windows 10 to a 7" display has proven difficult at best. Perhaps I was a bit unclear, what I meant to convey was that if a 7 inch foldable phone was folded out, then the screen would be about 11-12 inches. It could run full windows there. And perhaps a Windows Phone like UI when it is in the 7 inch mode. If this is marketed right and priced right I can see this device doing quite well.